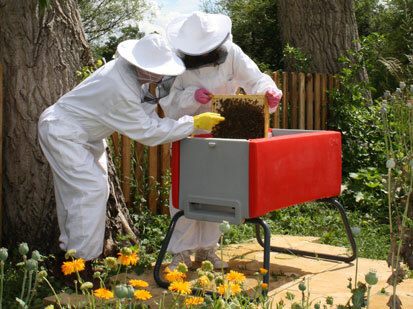 Added a new link to the link list today, as I found that Omlet have added a very decent beekeeping guide to their website here. Omlet are a great company who started off making urban chicken houses (called the Eglu) and have since branched out into making homes for other pets/livestock... including last year a release of their new design for a beehive, or beehaus, as they refer to it. We have one of their Eglu chicken houses, but I don't have a beehaus, as I had already invested in traditional National Hives before they came out. Anyway, if you are a beginner, the guide to keeping bees is pretty good and worth a look.